Those who prefer to use two wheels to get to and from work every day can make short work of the daily commute by opting for a brand-new home at The Residence in Nine Elms. With Cycle to Work day falling on August 15th, homeowners based at the Bellway Homes’ development will have plenty of reasons to get on their bikes. Statistics released by the Department of Transport earlier this year showed that 38% of those who cycle regularly do so for commuting[i], and with schemes such as Cycle to Work, it is easier than ever to switch up your daily routine. 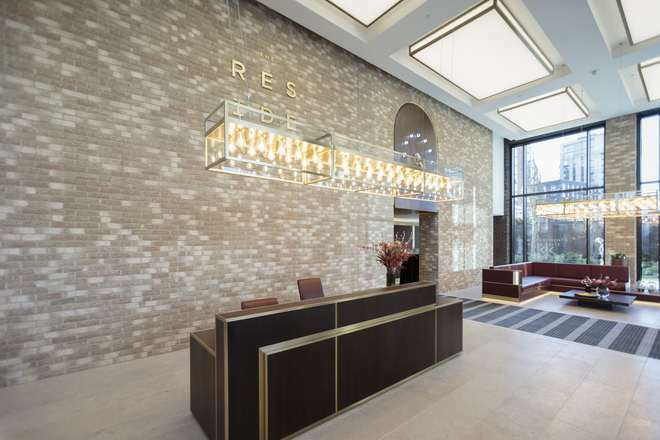 The Residence is conveniently located in close proximity to Cycle Superhighway 8, running through Battersea Park[ii], making accessing Central London and beyond, a breeze. The Residence offers plenty of secure bike storage for residents too, while being close to plenty of green space to tempt commuters away from the Underground. Nine Elms Park is located on the doorstep, and boasts a new pedestrian and cycle route, which connects to the Thames River Path, offering keen cyclists the choice between a cycle through the park, or a riverside view, Meanwhile, the Santander Cycle network has been extended across the Nine Elms regeneration area, for those who do not own their own bike. The Residence is a collection of luxury one, two and three-bedroom apartments set across five blocks. Each apartment is cleverly designed, featuring floor-to-ceiling windows to maximise natural light, as well as premium appliances and fittings. There’s a 24-hour concierge service and a resident’s gym, media lounge and meeting room to make living space more flexible and adaptable for modern living. The Residence will be located close to the new outdoor shopping areas and parades of the wider Nine Elms regeneration scheme, which are set to attract both major and independent retailers. Battersea Power Station is a major focal point, with events and new businesses creating an exciting vision of what is to come. Travel connections are also great, even for those who don’t wish to cycle; currently, the closest tube station is Vauxhall Underground Station accessing the Victoria Line, less than a 15-minute walk from The Residence. The extension of London Underground’s Northern Line is introducing two new stations at Nine Elms only a short, moments’ walk from the development. Expected to be in operation by 2020, the work will hugely improve travel by tube into central, north and south London. Residents will have a short walk to the new station and a quick 12-minute journey into the City, or eight minutes to Westminster. Prices at The Residence start at £615,000 for a one-bedroom apartment, £832,000 for a two-bedroom apartment and £1,190,000 for a three-bedroom apartment. To register your interest and for further details, please visit www.bellway.co.uk or call 0203 092 9677.